Sabse Bada Kalakar is one of the best TV kid acting show right now which is telecasted on Sony TV. The famous show is back again with its second season after the successful first season. In the show, kids between the age of 4 to 12 can take part and show their talent. The kids have to show their talent in acting, dancing and singing to impress the judges of the show. For the talented kids in India, it is really a very big platform for showcasing talent. So, if your child has a big dream, this is the perfect route to follow. 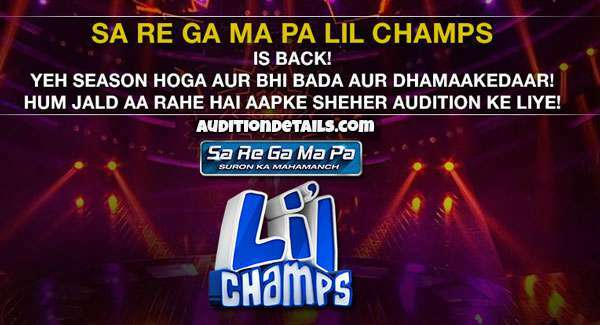 Contestants from all over the country can take part in the show. For taking part, you need to complete the registration. Here the full registration details are mentioned. First of all, you need to go to the website sonyliv.com. The updated list with the current shows will open before your eyes. There you will get the option, Sabse Bada Kalakar Season 2 Registration, you just need to click over there. Now you need to carefully fill the audition form and upload a 2-minute video of the kids performance over there. Then check all the terms & conditions carefully. After the checking hit the submit button to submit the form. Your application is submitted and your successfully registered for the Sabse Bada Kalakar Season 2. Now if your performance gets selected, you will be contacted by the officials of the show. The date for the audition or the registration for the show has not been yet released but it will be updated here on our website as soon as it releases. The venues for the audition are Patna, Kolkata, Bhopal, Ranchi, Ahmedabad, Chandigarh, Delhi, Dehradun, Lucknow, and Mumbai. The age of the kid must be between 4 to 12 years. The applicant must not have any previous criminal records. All identity proof and necessary documents for the candidate are needed. Note: If any wrong information is found in the application form, the candidate may account for legal action by the Sabse Bada Kalakar team. So, check everything carefully before submitting. For more updates, please stay connected with us.